A ship loaded a cargo of crude oil from Mina-Al-Ahmadi and was bound for Wales. On the way, it got aground outside territorial waters of any country. 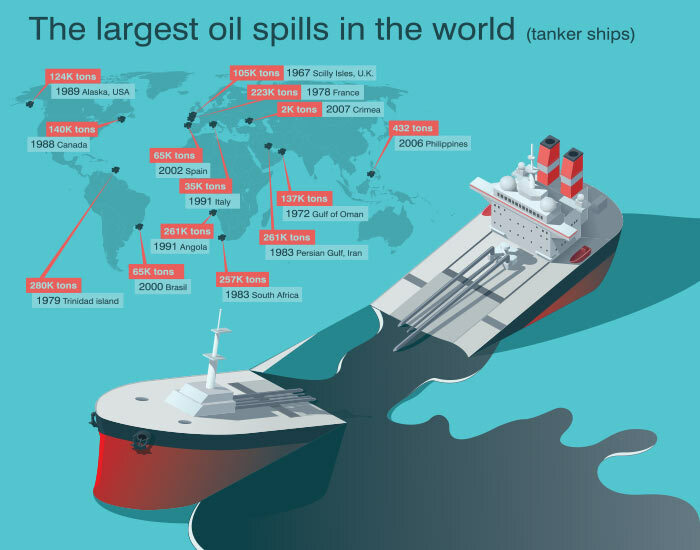 119000 T of crude oil spilled and found its way on the coastal waters of two countries, UK and France. Millions of Dollars were spent for clean up operation. Apart from the money required for clean up operation, there were number of people who lost their source of income. For example, fishermen could no more go for fishing. People who earn their living from tourism, were also hit by this incident. Apart from all this there is damage to the ecology which no one can measure in monetary values. Now who would pay for all these damages ? Ship owners ? The incident did not take place in the territorial waters of any country. Even if it did take place, the local laws for these cases are never so detailed to easily recover the money from ship owners. Now even if ship owner had to pay the money, the money may be so big that a ship owner could loose entire business because of one incident. What is the solution then ? CLC convention aims to bring a solution to this situation. In fact the story I told you above is the real story of the vessel “Torrey Canyon”. 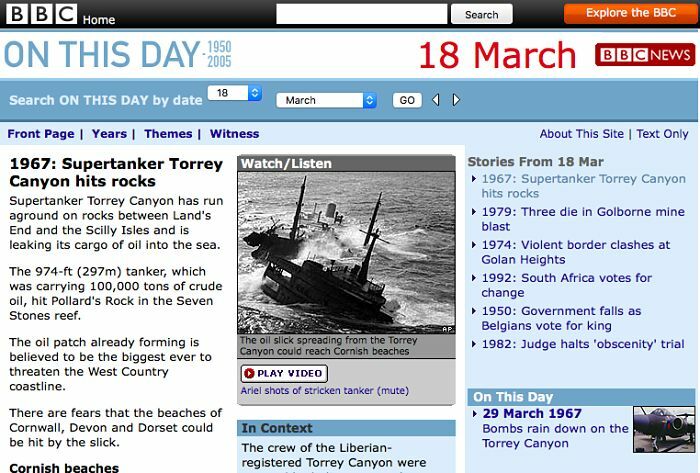 CLC convention was the result of the incident of grounding and oil pollution of the vessel “Torrey Canyon“. And there have been many incidents of oil pollution before and after Torrey Canyon. Let us see how CLC convention is helping to solve the problem of paying for the damages and at the same time not burdening the ship owners. CLC convention first came into existence in 1969 and was called CLC 69. This convention was later amended in 1992. CLC 92 was amended in the year 2000 to increase the amount of compensation. We will discuss the latest amended convention i.e. amended CLC 1992. 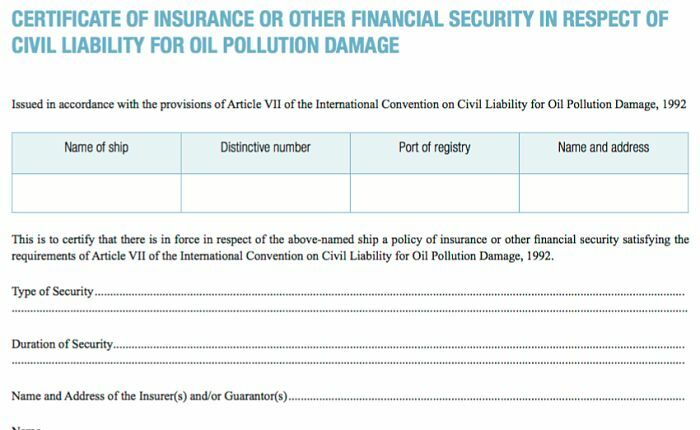 CLC is the short form for “International Convention on Civil Liability for Oil Pollution Damage”. As the name suggests, it is the convention that determines the liability of the parties in case of oil pollution damages. These four points summarises the whole CLC 92 convention in brief. Let us now discuss this convention in little detail. 1. When would CLC convention apply ? The applicability of any convention is the most important thing. After all if a convention is not applicable in some situation then all other articles of the convention would not apply. This is the reason that the article detailing the application of a convention is one of the initial article of any convention. So let us see when and how CLC convention apply. First thing we should know that CLC deals with oil pollution only. Which kind of oils ? It deals with pollutions from persistant oil only. Persistent oils, as the name suggest are the one that persists longer in the environment. Whereas Non-persistent oils either evaporate easily or disperse easily. The pollution from persistant oil is more serious when compared to non-persistant oils. Persistant oils require more resources and money for clean up operation. So the CLC convention applies to the pollution of persistent oils. 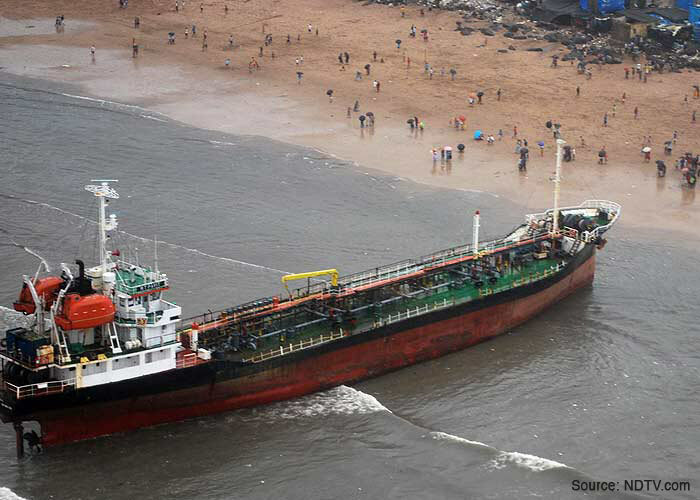 For example in July 2011, an abandoned oil tanker was found an aground in Mumbai’s Juhu beach. The vessel was abandoned near to Oman. The ship had drifted and got aground in Mumbai’s Juhu beach. Indian authorities filed a claim of 1.8 Millions US dollars for the various works like towage and removal of oil. The claim was rejected because the oil carried by the ship during previous voyage was MGO which is non-persistant oil. Territory and Territorial waters of a contracting state. In simple words territorials waters is the area of 12 NM rasius from the baseline of the contracting state. Exclusive economic zone (EEZ) of the contracting state. In simple words EEZ is the area of 200NM radius from the baseline of the contracting state. 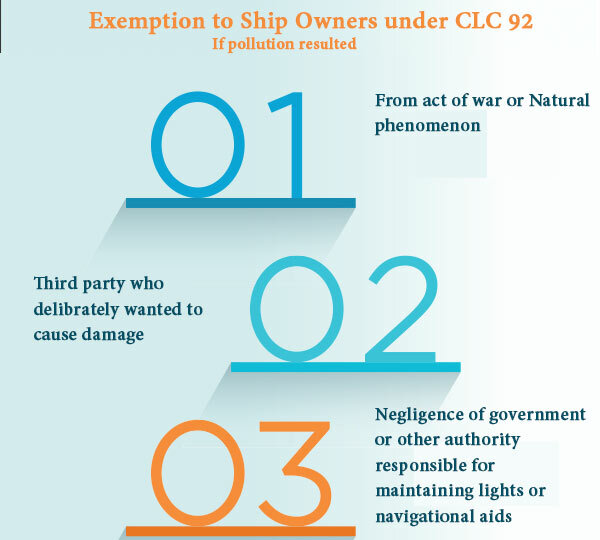 The CLC 92 does not cover the pollution incidents in the high seas. High seas pollutions were not included in the CLC convention because the pollution in high seas were considered to cause lesser damages. Even though the CLC convention deals with the pollution incidents, damage can be much more than the pollution itself. The compensation and liability of the owner of the polluting ship does not limit to the pollution alone. Damages include physical injury, psychological conditions and loss of income resulting from the pollution. CLC convention covers the expenses for all of these damages. Oil pollution incidents are costly affairs. It requires great amount of money to clean oil spills and somebody need to pay for it. As I said, one of the principle of the CLC convention is that ship owner is liable for pollutions from their ships. And as such, in most of the cases it would be ship owner who need to pay for it. the servants or agents of the owners or crew members. If you read the footer of the emails sent by the ship management employees, it would read “as agents to the owners only”. This is to stress upon the point that they are acting on behalf of owners as agents. So it does not matter if the ship is on bareboat charter or is being handled by a ship management company, the claim can only be made against the owner of the ship. Let us talk about the money part of the CLC convention. We can talk about the money part by talking about how much ship owner would pay in case of a pollution incident. Pollution resulted from the act of war or natural phenomenon of exceptional, inevitable or irresistible nature. One example of natural phenomenon could include the pollution if a tanker gets aground because of tsunami. Pollution resulted because of negligence of government or other authority who failed to maintain the lights or other navigational aid. While the first point may not be difficult to prove, other two points are more difficult to prove. This means that ship owners have hardly any exception to the liability. 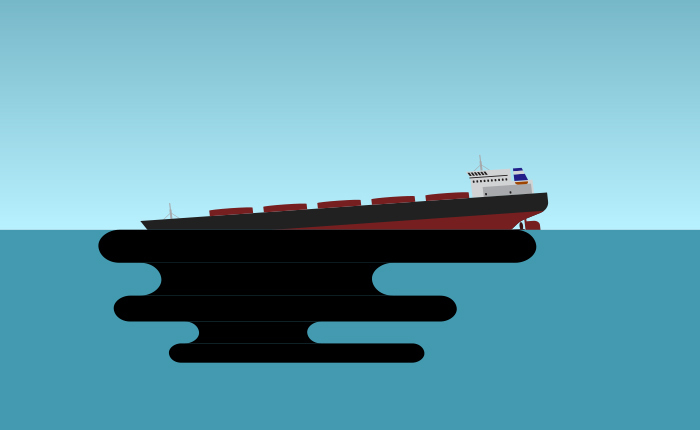 In almost all the cases of oil pollution, ship owners need to pay the money. For example if the ship was trading with an expired trading certificate, ship owner would need to pay for the all the damages. Question is why limit the liability of the ship owners ? For example if the vessel got aground because ship’s crew did not keep a good watch and damages are in billions, why owners is required to pay only fraction of it ? The answer lies in the principle of shipping business. 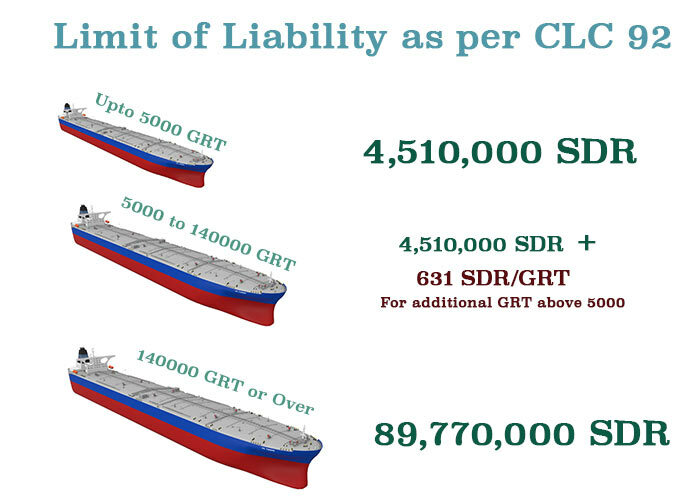 If there is no limit of liability on ship owner, they need to pay for more insurance. Because of this, they would charge more freight and thus oil price would be higher. Limit on ship owner’s liability brings a balance between paying for the damages and not over-burdening the ship owners. In the case of Torrey canyon incident, the claimant arrested a sister ship of the owners in Singapore. The ship could only be released upon payment of USD 3 millions to the claimants. This was the times before the CLC convention. But to take the advantage of CLC convention and to ensure that his ships are not arrested after a pollution incident, a ship owner need to constitute a fund equal to his liability as per CLC convention. The idea here is that, after the investigation if ship owner is liable to pay the amount equal to his limit of liability, the claimant need not be chasing the ship owners for money. The money should already be in the possession of the court. any other way acceptable to the contracting state where fund need to be constituted. Again in the case of Torrey Canyon, the pollution resulted in the territorial waters of UK and France. This could be very common situation in the present scenario too. So where the action for compensation can be brought against the ship owner ? As per article IX of CLC 92, action can be brought in any of the country that was affected by the pollution. Article X also states that the judgment given by the court in which action is brought will have to be recognised by other states. 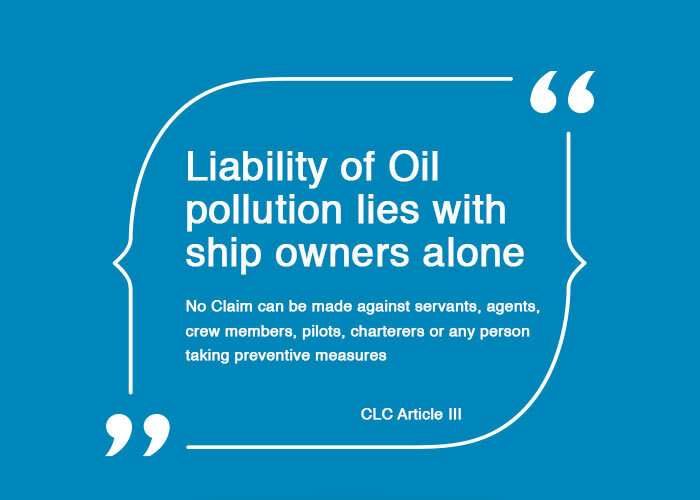 As per article VII of CLC 92, all ships that carry more than 2000 T of oil as cargo need to maintain insurance equal to the ship owner’s liability as per CLC 92. This certificate is issued by the flag of the ship after the ship owner provides proof of the insurance to the flag. The insurance cover (proof of insurance) is called the blue card. This blue card need to be provided to the flag along with the application for issuance of this certificate. The certificate is usually valid for the period of one year from 20th of February of each year. 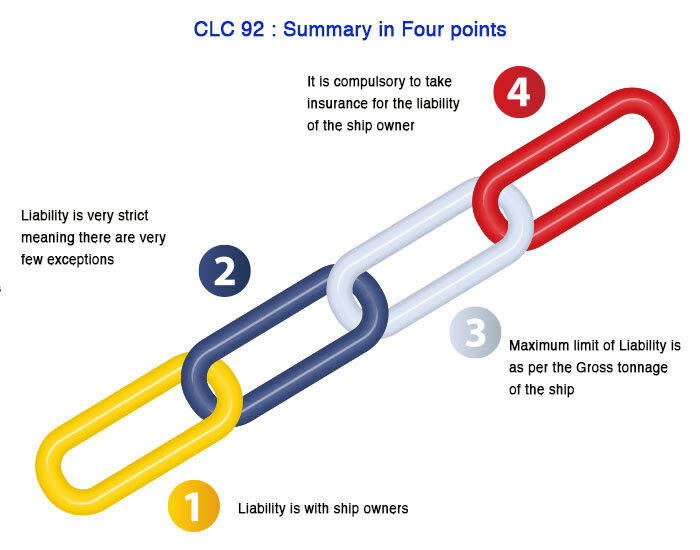 The CLC certificate also plays one important benefit both for ship owners and the claimant. The claim for the pollution damage can be brought directly against the insurer or person providing the financial security. Each year close to 11000 Billion ton-mile of oil is transported through sea. Even though oil spill incidents have reduced drastically in recent year, shipping industry need to be ready for all th eventualities. CLC convention is one such step. It not only defines the liability in case of oil pollution incident but also limits this liability to encourage the oil trade. The question you may ask is who would pay for the amount spent over and above the ship owner’s liability. This amount is paid under the Fund convention which I will cover in future post. great blog, informative and precise ! Happy to hear that Abhimanyu.. Highly commendable, just wonderfully explained, clearly and simpily. This coming from a Lecturer with 17 years experience in teaching in Kolkata and an Ex Dufferin Cadet 1967-69 Batch. Keep it up. Thank you. So happy to receive a positive comment from you Sir.. Thanks. Glad you found it useful Eric.. Happy to hear that Karthik..
nice to read all ur blogs for chief engineer exams sir... waiting for fund an supplementary fund as well.. Thank you Basu.. I will write on Fund convention soon.. Your explanation on CLC was quite informative and easy to understand, especially from exam point of view. Waiting eagerly for more on Fund Convention from you. Thank you Abhishek.. Will write on Fund convention soon.. Gentle reminder on FUND convention explanation. Thanks Leo..Fund convention is the next topic I am writing on..
sir i have a query, tanker in ballast and pollution is from bunker oil. then weather liablity will be limited as per CLC 92 or as per Bunker convention?. CLC 69 did not cover bunker oil pollution and pollution from tankers in ballast but the CLC 92 amendments included the pollution from bunker oils and also for tanker in ballast. 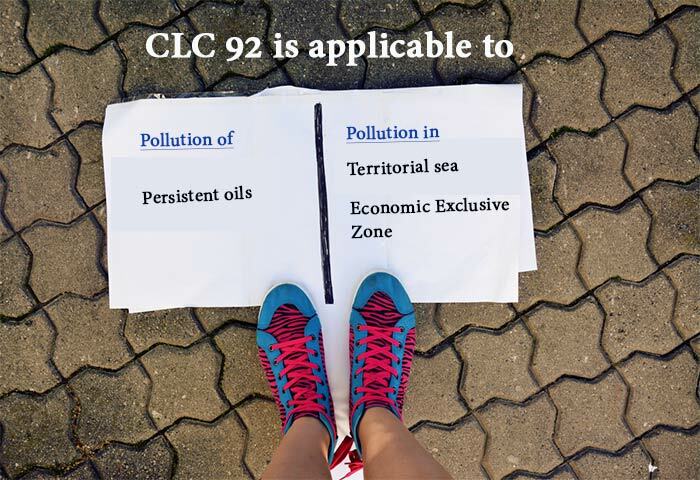 So yes, CLC 92 would cover bunker oil pollutions too. Glad you liked it Laxman..
thanks a lot sir for the information. Is CLC convention applicable for a tanker carrying persistent oil as bunker during her loaded voyage and the pollution is caused by her bunker oil only? Glad you liked it Vijeesh.. Happy to hear that Pradeep..
Glad you found it helpful Ali..
3 years is the normal time frame. 6 years limit is allowed in exceptional circumstances. For example if the impact of an incident is over a longer period. Sir, first and foremost well explained. my question is in the 3 year normal time period, I being a claimant i have raised a claim, against this ship which has polluted my beach, for a certain amount, and i have used those funds for the clean up operation,now in the 4 year i have realised that the coral reef which i had not noticed before was also damaged, so can i make a claim again? since i'm still falling under the 6 years claim period. Glad you found it useful Hamoon..
Glad you liked it Manish.. You guys reading it makes all the efforts worthwhile..
Good and infromative article.I have a question here.Can you please explain that in case of pollution from bunker tanks of an oil tanker in ballast(assuming it to be a persistent oil e.g HFO) ,which convention will apply?CLC or Bunker convention? USA have not ratified CLC convention. They have their own regulation (OPA) which requires the ship owners to maintain financial security (COFR) for oil spills in US waters. Good day sir, kindly advice if as per COFR also P&I will be the insurer for claim settlement and how much is the limit of liability. Thanks for dedicating your time on all of this sir. Very nicely explained in lame language sir.....keep it up ur nyc work. Glad you liked it Pritam.. Thank you for being a Reader Sudhansu..
Great explanation sir, Very informative, way of presentation is very impressive, Language is simple and easy to understand, It makes curiosity to learn more and generates interest. Always a pleasure to read your articles, Sir. Could you please share your views on how a country or a coastal state goes about recovering damages when they're not a party to a convention such as CLC Oil or Bunker as the case was with India in the famous Chitra incident. Also please share your views on recent Dawn Kanchipuram and BW Maple incident. Who pays for the spill and why ? What's India's remedy for Bunker spills ? Thanks, Ashutosh...Let me know if you want me to cover any other topic. Captain saab,kindly elaborate...even though clc 92 covers for bunker spill from tanker.Do tankers need to have bunker convention insurance as well? Yes, because ship may call a country that have ratified bunker convention but not the CLC convention. It is excellent to see people willing to give something to the industry by assisting colleagues with 'to the point information' and guidance on important matters. who will pay the compensation for oil pollution damage in the state party region who have not ratified the CLC92 and Fund convention? In this case, all that a state can do is arrest the ship and go through a legal battle. Sir excellent articles. All students in my batch are preparing for Masters exam and referring to your blog. Thank you sir. What's the difference between CLC 92 and Bunker Convention Certificate? For oil tanker who are carrying 5000tonnes of Persistent Oil in bulk as cargo need both Certificate? Let say oil pollution cause by a tanker in territorial waters, which one can use either CLC or LLMC because LLMC also cover property damage with limitation. I am so confused..
LLMC cover property damage but CLC covers damage to the ecology or damage because of oil pollution. This damage may not be physical damage. Oil pollution damage covers costs in cleaning up, loss due to suspended operations in that area because of oil pollution and loss of income (such as to the fishermen) due to oil pollution. LLMC does not cover the damage because of oil pollution. Article 3 of LLMC convention clearly states that LLMC does not cover the oil pollution damage. Let me know if you still have any confusion about it. My last ship was an Crude oil tanker registered in Italy, Italy has denounced CLC 69 convention, and has ratified CLC 92 and Bunker conv. But still it had 2 certificates of insurance, both from same insurer, one for CLC 92 and another for Bunker convention. Sir can u please tell why would an owner opt for this option when he is only supposed to have 1 certificate. Precise and to the point.. Your blogs are wonderful for understanding these too complicated conventions into a layman's language.. One doubt.. Does the P&I club issues the blue card? Capt Jassal, good and informative article. My compliments. Keep it up. Regards. Excellent and well explained. Thanks i really appreciate. If an Indian Registered vessel, insured by an Indian underwriter, causes oil pollution in another country where the insurance company is not recognised, what will happen to the financial security in terms of blue card? Please reply. Thank you sir. Quite nicely explained. In simple language. Very useful for exam purpose. I request you to explain more topics covered in phase 2 . Specially law . Very informative blog, Hats off to ur hard work..